Once we arrived back in Tokyo we went for a walk to see the Tsukiji Fish Market, where fresh tuna are bought and sold for thousands of dollars. Unfortunately, it was Sunday and the market was closed. However, our walk did give me another opportunity to photograph the Kachidoki Bridge across the Sumida River. This bridge has three river spans with tied arches on the ends and a double bascule span in the center. 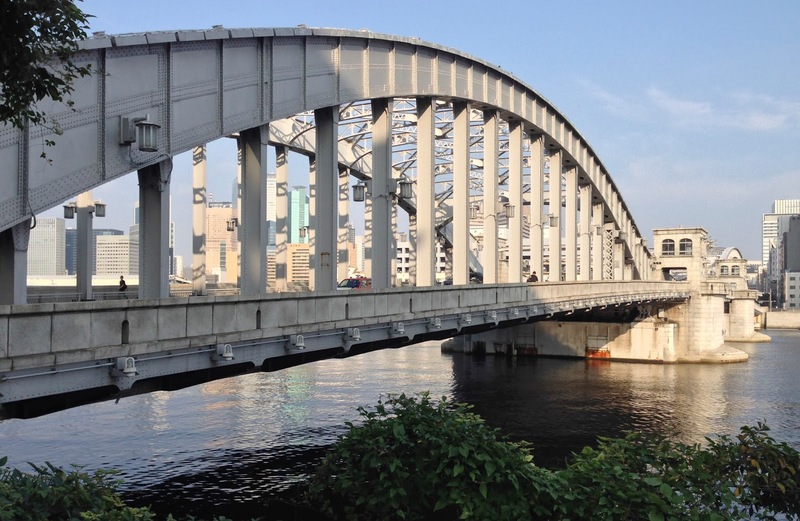 The Sumida River in Tokyo is like the Thames River in London with a movable bridge near the entrance into the city. 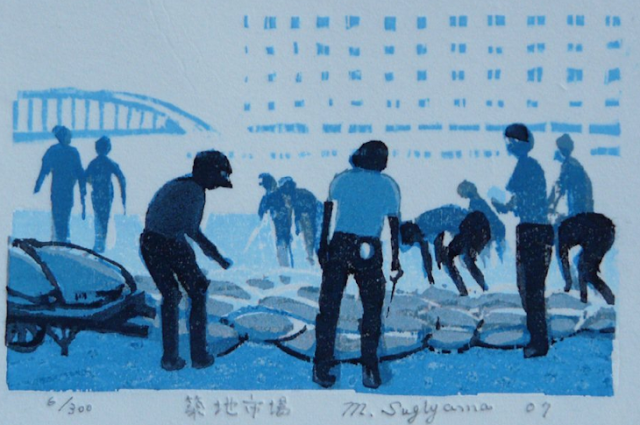 Since I included a Japanese woodblock print in yesterday's blog on Mt. Fuji, I thought I'd show another by one of my favorite contemporary artists, Osamu Sugiyama of the Tsukiji Fish Market, the Kachidoki Bridge, and the Sumida River in bright sunlight. Tokyo Prefecture, Japan's Bridges: Kachidoki Bridge across the Sumida River (8) by Mark Yashinsky is licensed under a Creative Commons Attribution-NonCommercial-NoDerivs 3.0 Unported License.